Does Your Child Want to Experience being a Mermaid or Merman? Q. Why is the party only for 5 children, when your usual amount is 10+? A. Learning to use a mermaid tail or a mermaid fin can be a tricky experience for kids. They need a lot of space to be sure they don't accidentally hurt each other, and to experiment and try new tricks. Mermaids and lifeguards need to pay special attention to children wearing a fin for safety. That becomes harder with more children involved. The limit of 5 is to be sure the mermaid can teach all children how to swim in the 1 hour time space, and ensure they are having safe fun! Q. What are the sizes of the mermaid tails? 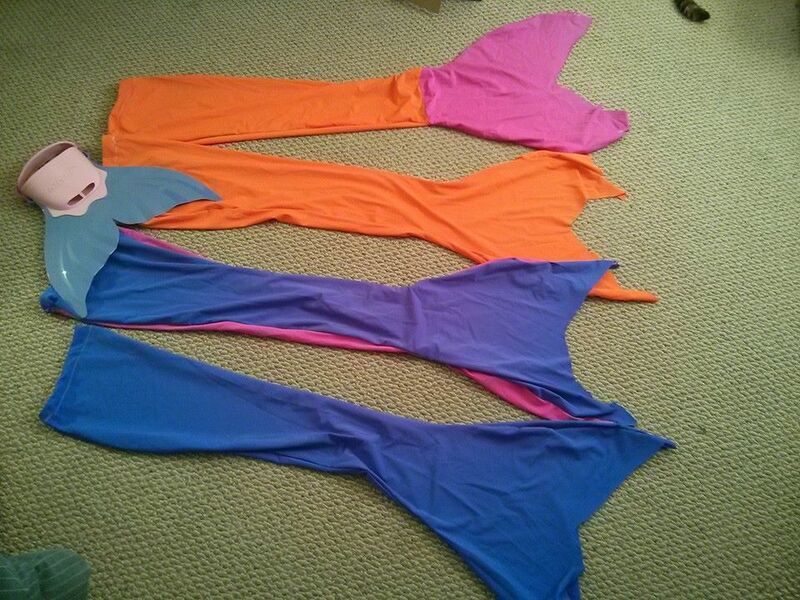 A. Mermaid tails are made out of stretchy swim suit fabric and are made in a OS fits all style. However, our current set has an 18 inch waist and 31-32 inch length. Length does not make much difference to a child as the tail is worn more like a skirt and they will have access to their feet. If the waist is too big we use elastics to help compensate. You can also commission custom sized tails for a separate cost that you can then OWN through mermaid Mimi. Q. How do kids swim in the tails? A. The tails are worn like skirts and are open at the bottom. They can swim the way they normally would, and have access to their feet. If a child chooses to add the mermaid fin, they will no longer have access to their feet and will need to do a dolphin kick in order to swim. We recommend floaties and life jackets for trying this out. Q. What are the sizes of the mermaid monofins? Q. How do kids swim in the monofin? A. A monofin puts both feet into a single fin and forces the swimmer to use their core to do a dolphin kick. You can find out more information specifically on the monofin by clicking here. Q. What if we want to own a mermaid tail/fins? A. We don't currently sell the fins locally but they can be bought online through sites like ebay and amazon for about 35$ CAD give or take. You can commission a mermaid tail specifically to your child's colour and style liking for 50$ through Mermaid Mimi. These tails are very basic. If you would like fancier ones with more customization the price will go up. Alternatively, you can find children's mermaid tails at www.mermaidtails.net however many are international and will incur SH fees along with customs fees making most tails cost well over 100$ CAD. Q. 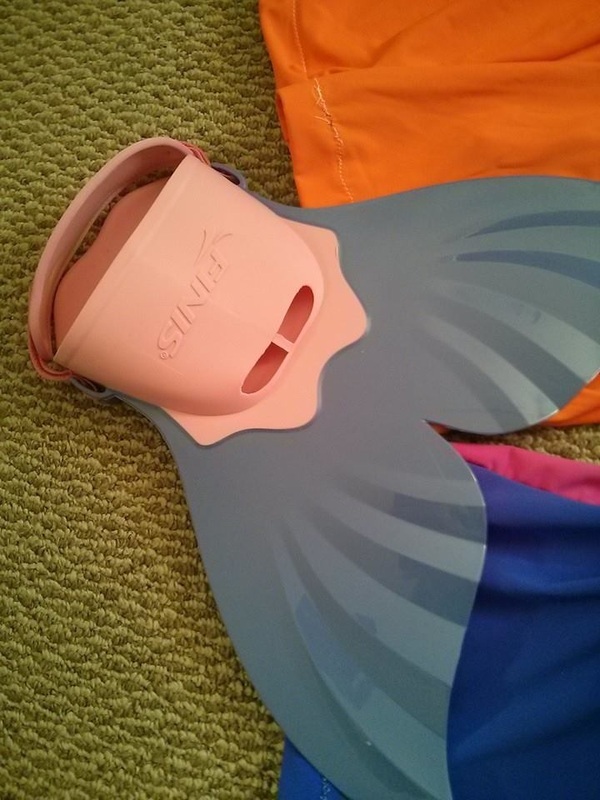 What is the best way to make sure my child is safe during their swim in a tail/monofin? A. Watch them, and we require that unless they are strong swimmers that they MUST wear a lifejacket or floaty of some sort. Q. Does my child have to use both the tail and monofin together? A. Nope! They can use both, one or the other. Q. What if I pay for this party and the kids don't use the tails or monofins? A. Sorry, but it's important you check with your kids beforehand to make sure they are interested in this. Mermaids will do everything we can to encourage the children to try out the tails and monofins. Q. Is their an age limit? A. No, as long as the children will fit in the tails/monofins they are fine. We can't do anything about monofin sizing they only come in one size. But we can make you a custom tail and plan on adding a bigger variety of tails as we progress through the year. Q. Do you do this package for teens or adults? A. Not at the moment but we really want to in the future!